Ford has revealed the all-new stylish and versatile Kuga; a compact SUV with cross-country appeal, designed to meet today’s motoring demands. This contemporary styled Kuga will appeal to many drivers. It is solid and sporty with smart cutting-edge SUV technology that leaves other sports utility vehicles trailing behind. Ford’s Kuga has many advanced features, including an instantly reacting all-wheel drive system which adjusts to different driving conditions and terrain, with remarkable grip and control on wet surfaces, sand and ice. Some of the updated Kuga’s clever technology include Ford’s SYNC system and Torque Vectoring Control – the first in-car connectivity package that can even sense when an airbag has been deployed and phone for help! 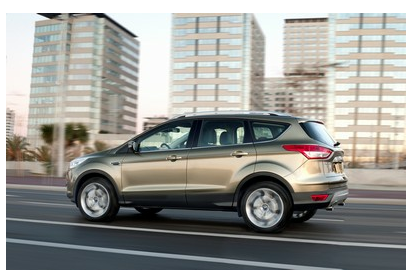 Cars are the ultimate gadget and the new Kuga, with technology in abundance, is just that! It also looks great, has strong economical diesel engines, improved aerodynamics and strikes the perfect balance between comfort and control. The purchase or lease of this car assures UK motorists of complete value for money.